Ok, i'm going to just say it.... I'm confused by the new Macbook Pro. This isn't a review... i haven't seen one in the flesh. 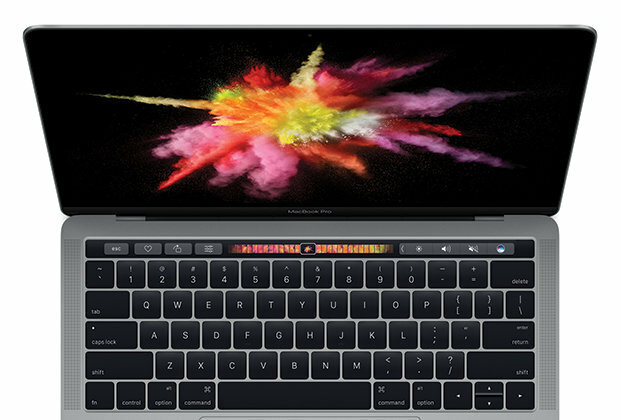 The touchbar - I'm just not convinced. The DJ using it in the demo yesterday was awkward... who wants to see that? Still, it impressed the front row of the Apple delegates. Yes, it looks like it might work to speed up workflow in some apps, but most people are going to end up using it to add emojis or scroll through movies. It just seems like a novelty thing to me. A bigger, stand-alone version that works with any Mac running Sierra? Much better idea.... but still a bit un-necessary. The lack of a mag-safe port - What? The mag-safe power connector has saved my Mac from hitting the floor countless times and it's genuinely one of Apple's better ideas... but now, we have to choose which USB-C port we want to lose, and then use that to charge from. The lack of traditional USB ports - Yes, i know....it's what Apple does - push the boundaries and help the rest of us leave old tech behind.... but, USB is far from dead. We'll all need loads of adapters to connect anything until USB-C really takes off. The Headphone socket - Didn't Apple say this was a 'dinosaur' at the iPhone 7 launch? Isn't it old technology? Make your minds up... I like that it's there...but it's weird. The lack of glowing Apple on the lid - Ok, a minor thing....but i liked it. Seems like a step back to me. Well, at least it's not too expensive.... oh no, wait, yes it is.... For a fully spec'ed up 15 inch model, it's over £4000. Yes.... pounds, not dollars. Funniest bit of the launch? Jonny Ive's 'film'. Didn't it just repeat everything they had already showed us? His voice-overs are starting to sound a bit comedy now.... reminded me of a 'Fast Show' sketch. What's the new Apple TV App called again?